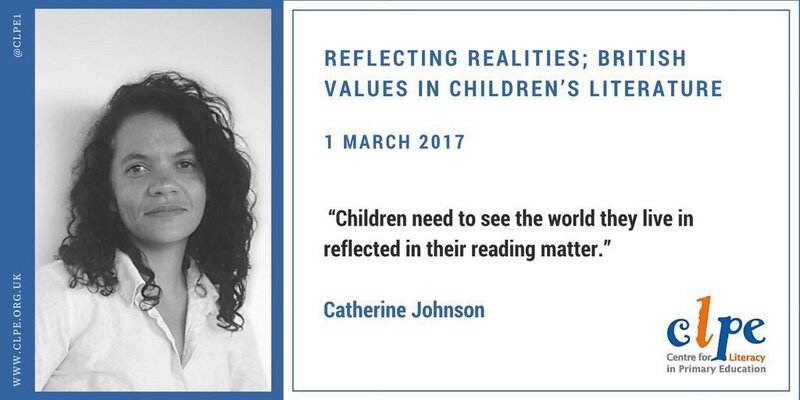 I was fortunate enough to be able to attend the Reflecting Realities: British Values in Children’s Literature conference last week at the wonderful Centre for Literacy in Primary Education (CLPE) and wanted to share what I gained with you. 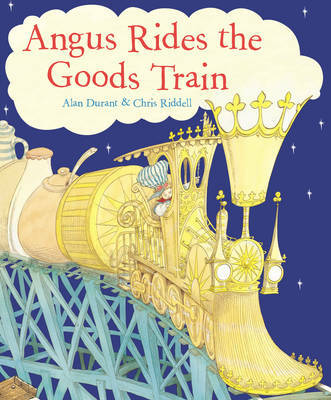 The aim of the conference was to ‘Investigate how quality children’s literature can be used to raise self-esteem, encourage empathy and develop social cohesion, helping pupils to grow into resilient and literate individuals’. The delegates included school teachers, librarians, and children’s book publishers, as well as people from organisations such as the Book Trust, Amnesty, Seven Stories, The Arts Council, The Bookseller, and The Sunday Times. 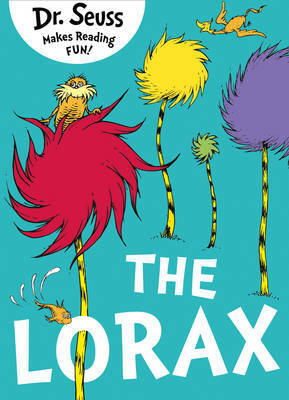 There was a broad spectrum of people united in their enthusiasm for children’s books and the power of literature. 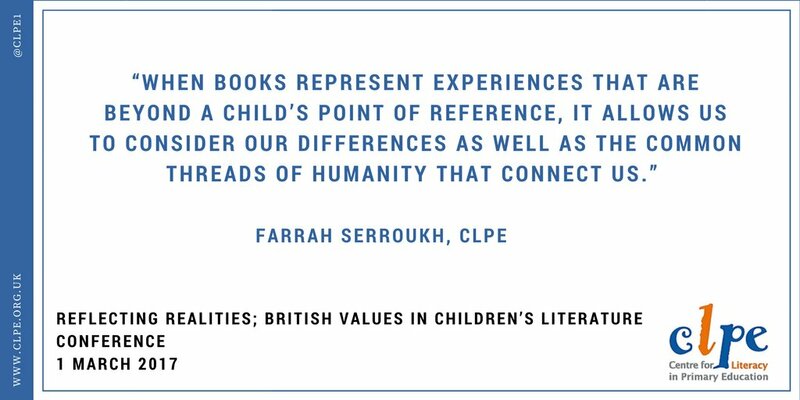 The day was introduced by Farrah Seroukh, CLPE’s learning programme leader, who spoke about how the influence of politics on education requires us to critically reflect and engage with issues both as pupils and as adults. She linked this to developing literate individuals and posed the question of how we can do this in the current climate of Brexit and Donald Trump (amongst other issues) when identities are being supressed. She urged us to think of learners holistically; how do they see themselves and others in literature? 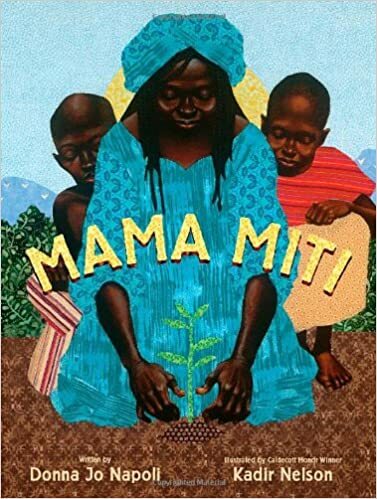 The term ‘Windows and Mirrors’, where children should have access to books that reflect their world and books which open a window to the wider world, is often used in relation to children’s literature and was the underlying message throughout the day. Spiritual Development – Who you are matters, those around you matter and it is our business in life to matter to each other. This should be reflected in literature. Moral Development – No person is an island; coexistence is built on finding and agreeing a common ground. 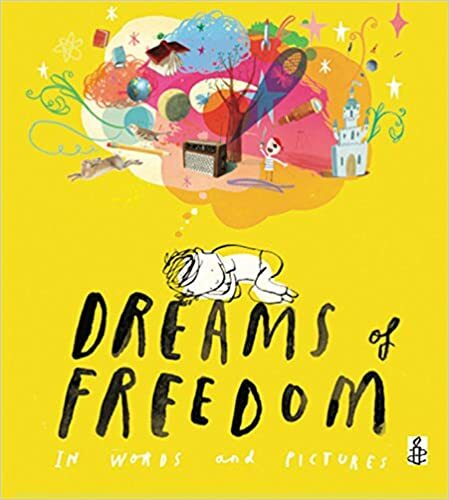 Recommended books include The Island by Armin Greder (Allen and Unwin) and books from Amnesty International such as Dreams of Freedom. Social Development – Finding the ‘i’ in community and working together to determine our core values. 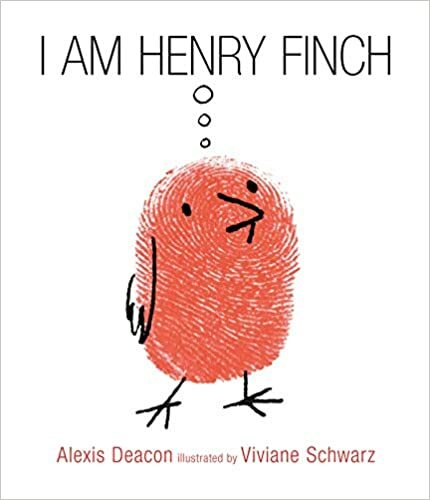 Recommended books include I am Henry Finch by Alexis Deacon and Vivianne Schwarz (Walker), Mama Miti by Donna Jo Napoli and Kadir Nelson (Simon and Schuster), The Rabbits by John Marsden and Shaun Tan (Lothian), and The Lorax and Yertle the Turtle both by Dr. Seuss (Harper Collins). Tolerance – the word ‘tolerance’ is used in the official guidance, but tolerance is just the starting line. To truly win the race we must aspire towards mutal respect. 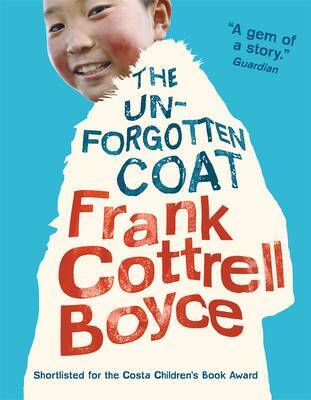 Recommended books include The Unforgotten Coat by Frank Cottrell Boyce (Walker), Coming to England by Floella Benjamin (Macmillan), The Weight of Water by Sarah Crossan (Bloomsbury), and Welcome to Nowhere by Elizabeth Laird (Macmillan). 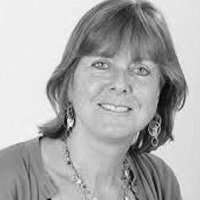 The first keynote speaker was Miranda McKearney OBE from the Empathy Lab. 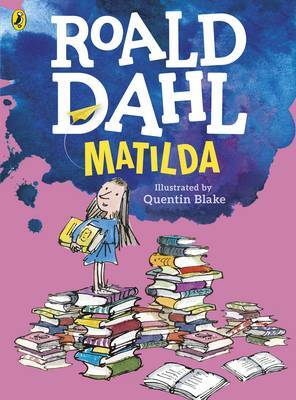 Before setting up the Empathy Lab, Miranda was the founder of the national charity, Reading Agency which now supports around 800,000 children through its annual Summer Reading Challenge. The Empathy Lab is a new organisation which is currently trialling an empathy, literature and social action programme for primary students. 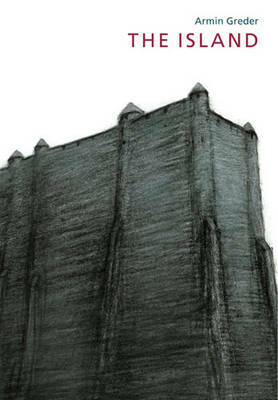 Building on the research from neuroscience which has shown that the brain reacts to fictional worlds as if they were real and allowing us to empathise and identify with fictional characters, Empathy Lab focuses on using children’s books to build empathy, and promotes empathy not as a soft skill, but as a hard skill that children need to survive. Miranda outlined empathy as the ability to feel and understand other people’s emotions and perspectives, and encouraged empathy to be viewed as a core life skill, vital for successful relationships, collaboration and learning, and as a force for social change as empathy is put in action. 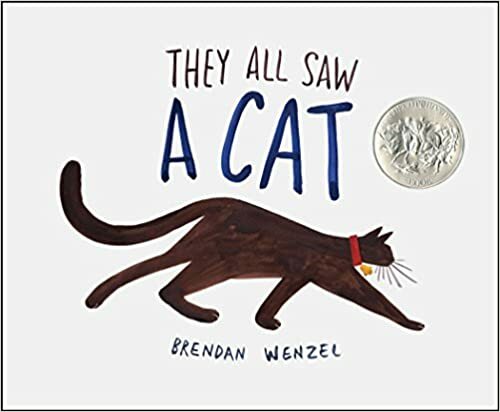 She also made links to current events, noting a growth in children’s books with authors being seen as exciting activists speaking out against library cuts and political figures such as Donald Trump. Miranda reported that the impact of their work with schools has been remarkable, with 100% of schools reporting an increase in: empathy skills; reading frequency, range, and enjoyment; writing and character development; inference and prediction; interest in social action. You can read their impact report here. 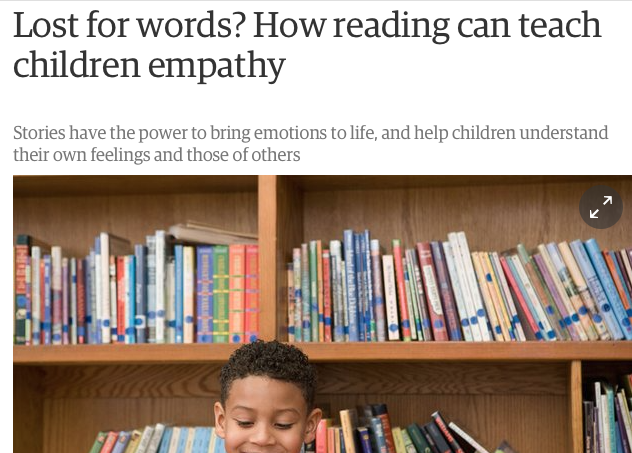 You can read more about empathy and reading in the article from the Guardian below and in the empathy booklist on Books for Keeps. 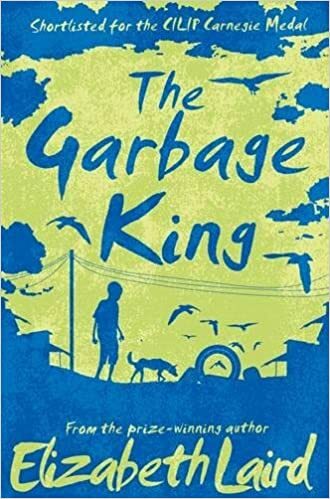 The next keynote speaker Elizabeth Laird, the award-winning children’s author of books including The Garbage King, Red Sky in the Morning, Kiss the Dust, and her latest title, Welcome to Nowhere. She began her talk by calling popular children’s books such as The Wimpy Kid series and those by Roald Dahl ‘dessert books’ which were all well and good but children really need ‘meat and veg’ books. She believes books are opportunities to inspire and raise ambitions and gave the example of Anna Sewell’s classic book, Black Beauty leading to the creation of the RSPCA. 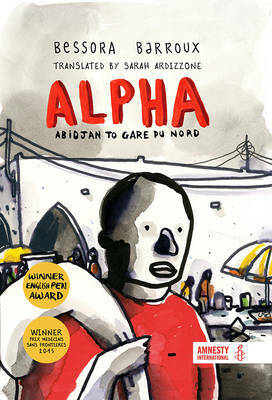 If you have read to the end of the story you might be wondering what will happen next to Omar, Musa and Eman. How will they get on with their new life in Britain? Will people welcome them? Will they be accepted in their new schools? 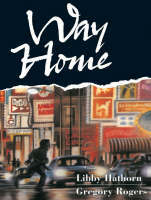 Will they be helped to settle in and follow their dreams? The answer to those questions lies with you. 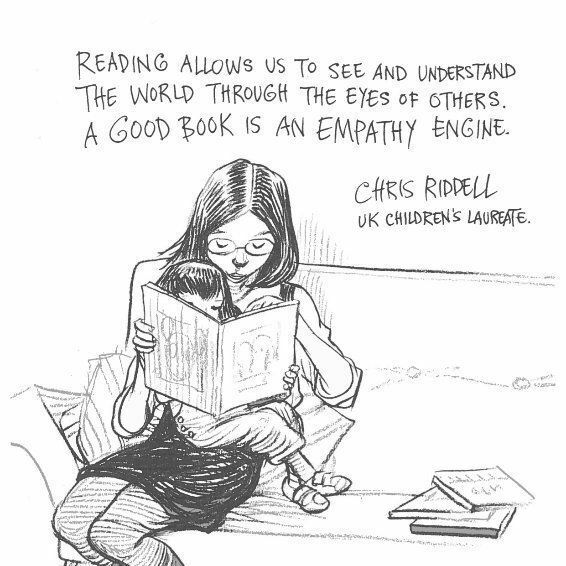 What a powerful message to leave with the reader and a wonderful link to the previous keynote on reading, empathy and social action. 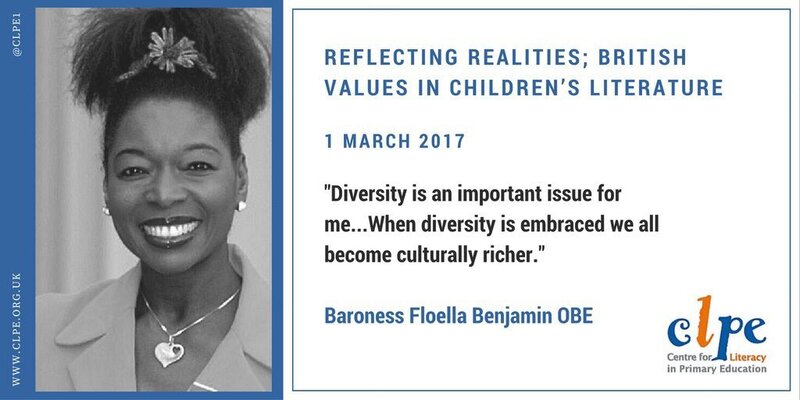 Following a coffee break, the next keynote was from the highly entertaining Baroness Floella Benjamin OBE, author of the child’s viewpoint memoir, Coming to England. She began by addressing the teachers in the audience as ‘The Chosen Ones’ and stressed the importance of their role in ensuring all children feel worthy and loved. Floella then talked us through her memoir, first recalling her idyllic childhood in Trindad surrounded by love and happiness, before the family’s move to England in the 1960s where she thought they would be welcomed with open arms. Unfortunately this was not to be the case, and Floella was shocked at the rejection she encountered due to the colour of her skin. Floella pointed out that her experiences, both postive and negative, shaped the person she is today and explained her resilience through the ‘Three C’s’; consideration, contentment, and confidence. 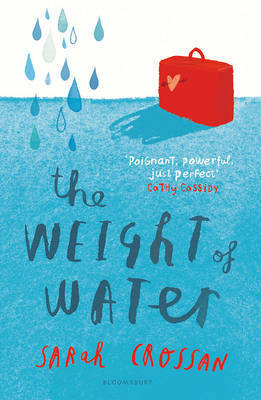 Floella originally wrote her memoir in response to her children’s questions about her childhood. 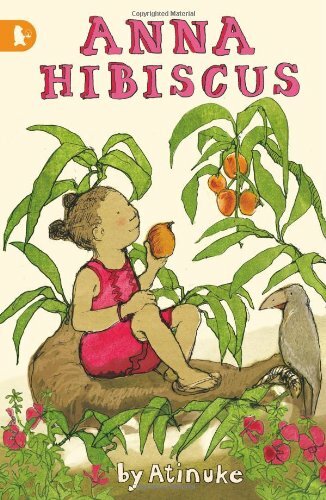 When she couldn’t find any books for them that reflected her experience as a child in Trindad coming to England, she decided to write her own. In true Floella-style, she rounded off her talk by singing lines from the Nat King Cole song, ‘Smile’ to the audience! A choice of four author-led workshops with Catherine Johnson (A Nest of Vipers), Candy Gourlay (Tall Story), Atinuke (Anna Hibiscus), and the poet Anthony Anaxagorou (Heterogenous) followed the lunch break. 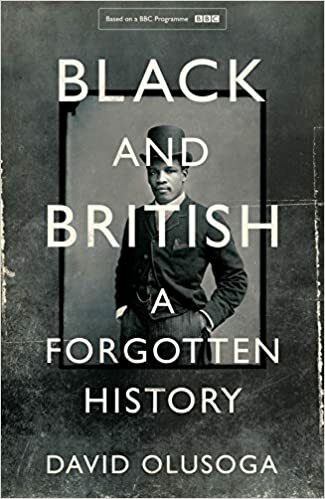 I attended the workshop with Catherine Johnson entitled ‘Black history is all our history; finding ourselves in stories from the past’, where the author revealed many hidden black figures in British history and explained the basis of her historical novels for children. This included a gory trip to the Hunterian Museum for her novel about anatomy and dissection in 18th century London, Sawbones. After laying out an assortment of small objects on the table, we were invited to do some creative writing based on two of the objects. I chose an envelope and a packet of false eyelashes, but there was also a torn bit of map, a box, a diary, a stone with a hole through it, keys and a carabiner to choose from. The objects proved to be a great stimulus for writing. With our pens warmed up, we were then invited to choose one of the diverse range of characters from the nineteenth century painting ‘Derby Day‘ by William Powell Frith, and write something from their perspective. 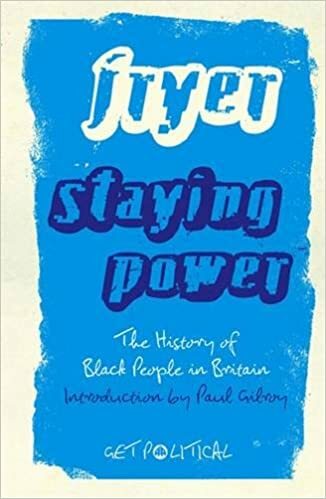 Catherine was so enthusiastic about our wealth of shared history and I will be reading the titles she recommended including Peter Fryer’s groundbreaking text from 1984, Staying Power: the History of Black People in Britain, and the 2016 book, Black and British: A Forgotten History by David Olusoga. After the workshops, we reconvened in the main hall for a conversation between the author and publisher, Verna Wilkins, and the co-directors of the wonderful Letterbox Library, Fen Coles and Kerry Mason. Verna Wilkins told us that when her son was 4, she noticed that he had used a peach crayon to colour his face on the book he was making about himself. When she questioned why he hadn’t used a brown crayon to match the colour of his skin, he told her that, in books, faces had to be this colour. Determined to change this way of thinking, Verna set up Tamarind Books in 1987 and published titles in which children like her son could see themselves. 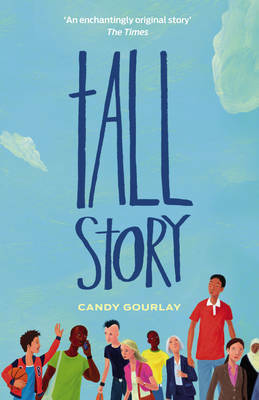 Nearly thirty years later in 2016, recognising that there was still a need for more diverse children’s books, she also co-founded Firetree Books. 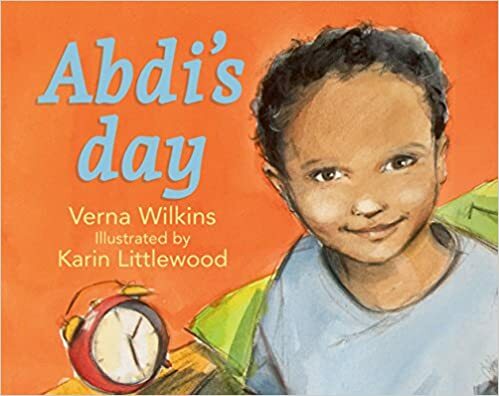 Verna has since worked with children and families from London schools to produce two books about their lives, Abdi’s Day and A Visit to City Farm. 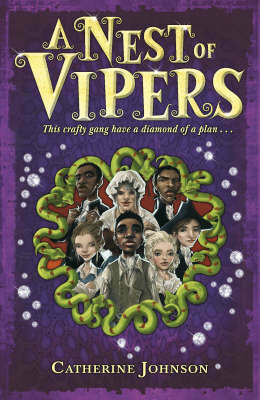 There is a fascinating recount of this process on the Firetree Books blog where Verna talks about the impact the books had on the children and families involved. 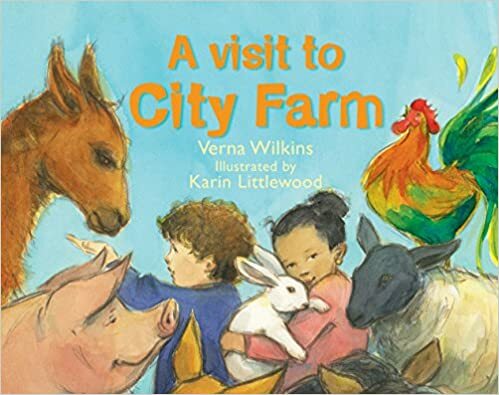 The blog mentions that for A Visit to City Farm, Year 5 students were asked to come up with names for the children in the story and all 60 children from this multicultural school listed only traditional English names. 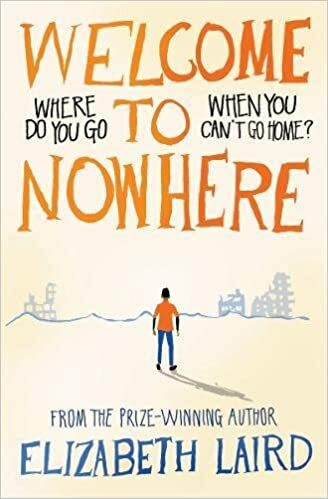 This demonstrates exactly why it is vital that there are publishers like Firetree Books reflecting the reality of children’s lives in Britain. 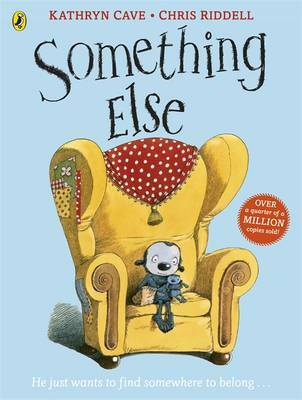 As Verna pointed out to the audience that as well as the power to create heroes, picture books have the power to include and the power to exclude. 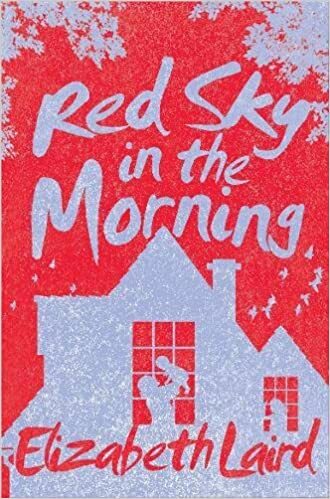 Fen and Kerry from Letterbox Library also talked with Verna about how frustrating it was that it was now ten years since they talked on the same topic at the CLPE Diversity Matters conference and not enough had changed. 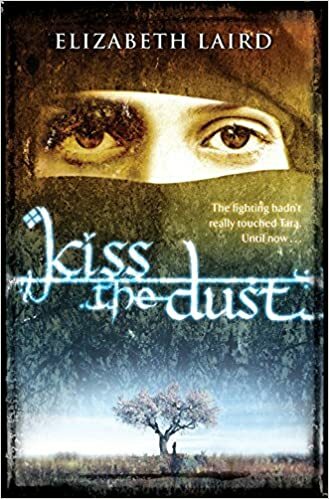 Indeed, a member of the audience asked Elizabeth Laird what she thought about the controversy surrounding the omission of Black and Minority Ethnic (BAME) authors from the CILIP Carnegie Medal longlist this year (in fact the medal has never been won by a BAME author). Changes in publishing and empowering more BAME children to think of themselves as authors was the key messages that came out of the ensuing discussion. 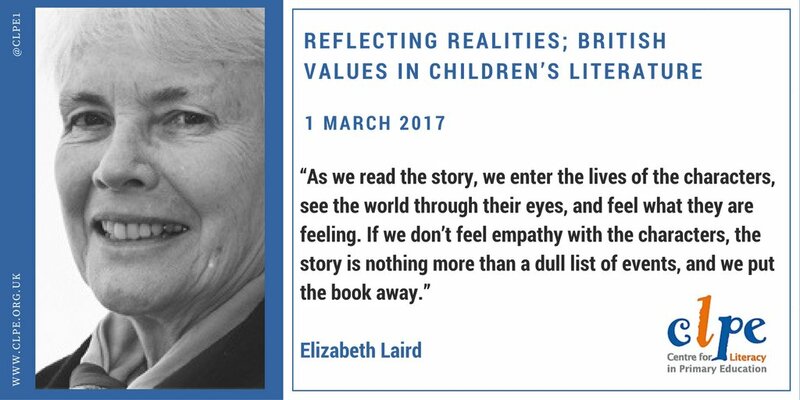 Earlier, someone had pointed out the startling fact that 80% of the children’s book market is dominated by 10 authors; the ‘dessert’ books that Elizabeth Laird decried in her keynote. 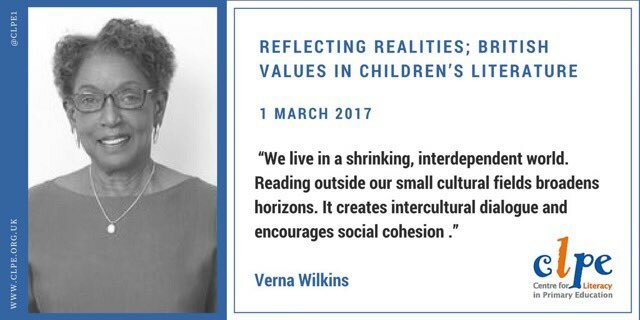 As educators or, as Floella likes to call us, ‘The Chosen Ones’, we need to ensure that children have access to a much wider range of books. 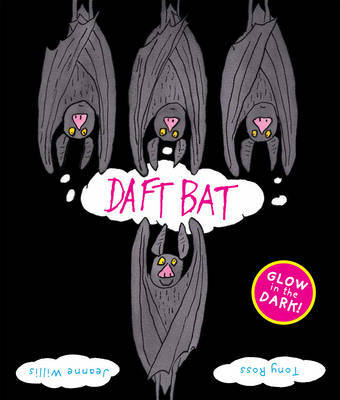 Books that act as mirrors in which children can see themselves and reflect the realities of British life, and those that act as windows to the world; books which also bestow them with the vital life skill of empathy. Let’s work to ensure that, in ten years time, we won’t still be having the same conversation. The final event of the day was an outstanding performance from the award-winning poet, Anthony Anaxagorou. I was blown away by his talent and, like the rest of audience, sat spellbound as he performed two poems from his collection, Heterogeneous. 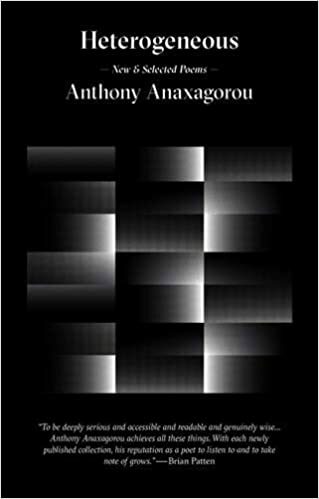 Anthony is currently the poet in residence at several London schools where he teaches poetry and creative writing. This was a great way to end what had been an inspirational and thought-provoking conference. Listen to Anthony’s poem, This is Not a Poem to see why he was so impressive. 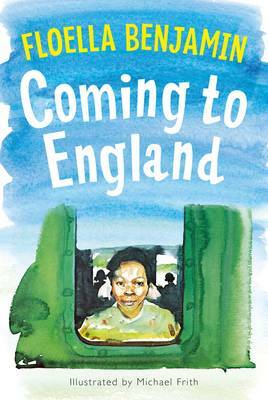 For ideas of books to use with your students, view our list of children’s books reflecting multicultural Britain. Are there any we have missed that you would to recommend? Posted on March 7, 2017 by Curriculum Centre. 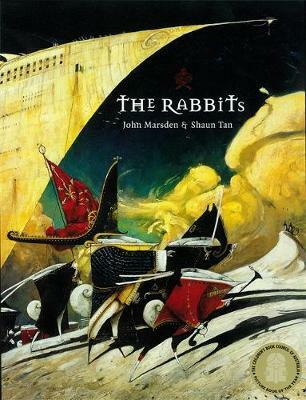 This entry was posted in Book news and events and tagged Diversity, Inclusion, Multicultural. Bookmark the permalink.